Domino Officially Cast For Deadpool 2 | Nerd Much? 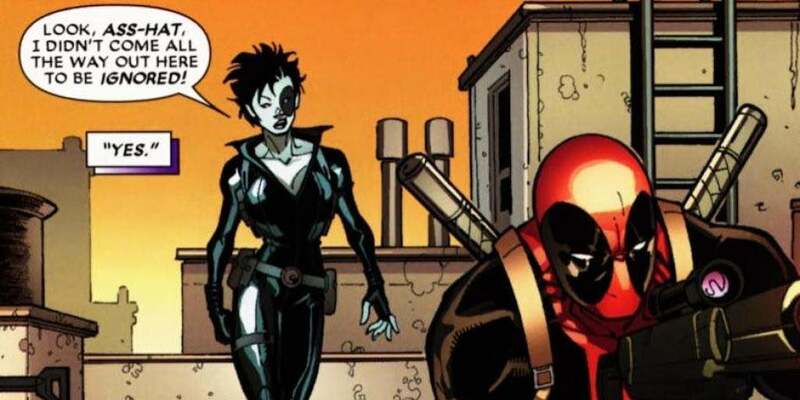 Ryan Reynolds and his snark is back again on Twitter, announcing who will be playing the role of Deadpool’s not-sidekick, Domino in Deadpool 2. She will be played by Zazie Beetz, known for her role in the television series Atlanta. The announcement on Twitter was via a photo of domino tiles, with extra dots pasted in to spell Beetz’s name. She will likely be joining David Harbour (Stranger Things) who might be playing the role of Cable, though the information is unconfirmed as of yet. If you haven’t read all of the Deadpool related comics, Domino (also known as Neena Thurman) is a member of the X-Force, first appearing in the 11th issue of the first volume. She has exceptional marksman and hand-to-hand skills, in addition to her mutant powers. Domino possesses probability-altering powers, similar to those of the X-Man Longshot. She usually dedicates her skills to mercenary work, but has also been the partner, confidante, and lover of the superhero Cable, a lieutenant in his militant group X-Force, and a member of the X-Men. If nothing else, I’m very excited to see the banter between these two characters. Nothing like two mercenaries fighting over morals. Nonetheless, Deadpool 2 should be arriving some time in early 2018. Do you think Beetz is a good fit for the role of Domino? Let us know in the comments below!